We're your one stopscale model train shop! This is a list of some of the things that are new to the store and news of import. It is updated as and IF time permits. Click on images with red borders for a larger image. Please note that items are put on this web page when they ARRIVE. There is no guarantee that they will in stock the day after they are added. Please call for availability. Various In preparation for the Calgary show we have received several major shipments of product. We have received a large restock of Digitrax DCC products. We have LNWI, PR4, DS64s, and AR1s in stock now. Some decoders arrived. No UP5 panels. We have received a restock of some Soundtraxx decoders and speakers. We have recieved a new shipment of HO Scale GE Tier 4 GEVOs. CNR, and a few other road names. HO We have the new HO Scale SD40T-2 locomotives. We have received a restock of Kadee couplers, trucks and wheels. We have received a restock of ngineering products and some of their new items. Magazine The May/June 2019 Issue of N Scale Railroading Magazine magazine has arrived. Magazine The May 2019 Issue of Model Railroader magazine has arrived. The May 2019 Issue of Trains magazine has arrived. Magazine The March/April 2019 Issue of Branchline magazine has arrived. Magazine The January/February 2019 Issue of Ztrack magazine has arrived. The April 2019 Issue of the Railroad Model Craftsman has arrived. The April 2019 Issue of the Railfan & Railroad has arrived. Magazine The March 2019 Issue of Model Railroad News has arrived. 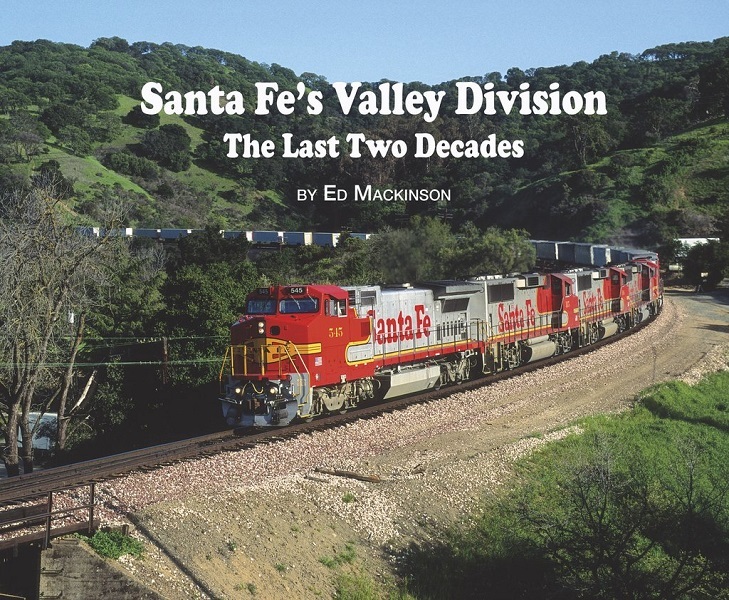 The 2nd Quarter 2019 Issue of the Trains & Railroads of the Past has arrived. The May 2019 Issue of the Classic Toy Trains has arrived. 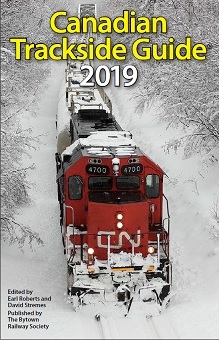 Magazine The January/February 2019 Issue of Canadian Rail has arrived. The April 2019 Issue of the WCRA News has arrived. Digital We have a restock of Tam Valley Frog Juicers - Single, Dual and Hex. Magazines The 1st Q 2019 issue of CP Tracks has arrived. The March/April 2019 issue of Narrow Gauge and Short Line Gazette has arrived. Magazines The 2019 14-2 issue of CP Tracks has arrived. Paints We have brought in the Valleo Spray paint rack. Magazines The April 2019 issue of Model Railroader has arrived. The April 2019 issue of Trains has arrived. The Trains Special Issue Journey to Promontory has arrived. Magazines The Spring 2019 issue of Classic Trains has arrived. The March/April 2019 issue of Steam in the Garden has arrived. The March/April 2019 issue of Live Steam & Outdoor Railroading has arrived. Magazines The April 2019 issue of Scale Auto has arrived. Magazines The March 2019 issue of Railroad Model Craftsman has arrived. The March 2019 issue of Railfan & Railroad has arrived. The March 2019 issue of Model Railroad News has arrived. Magazines The 2019-1 issue of Passenger Train Journal has arrived. The January 2019 issue of The Dispatchers Office has arrived. Magazines White River Publications had printer issues with winter weather the last few months. A a result some magazines were published and shipped late. Magazines The January 2019 issue of Railfan & Railroad has arrived. The January 2019 issue of Railroad Model Craftsman has arrived. Magazines The Winter 2018/2019 issue of The Sandhouse has arrived. Magazines The March 2019 issue of WCRA News has arrived. Magazines The March/April 2019 issue of N-Scale magazine has arrived. The March/April 2019 issue of N Scale Railroading magazine has arrived. Magazines The September/October 2018 issue of Ztrack magazine has arrived. The November/December 2018 issue of Ztrack magazine has arrived. 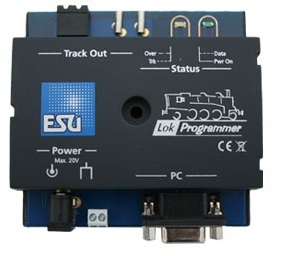 We have a restock of ESU LokProgrammer sets. 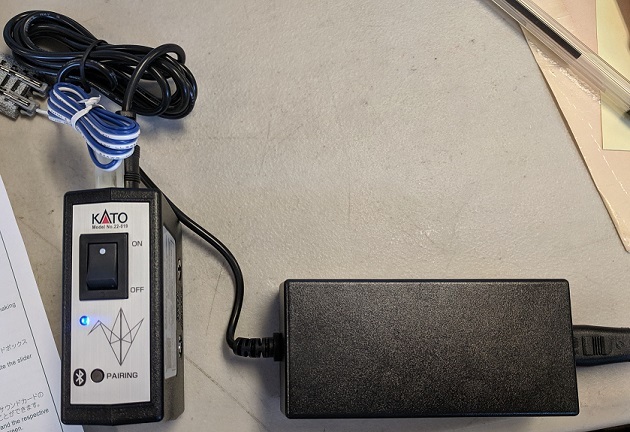 The Newq Kato Smart Device Controller has arrived. It uses an AP on your smart phone to communicate via Blue-Tooth to the Control box. 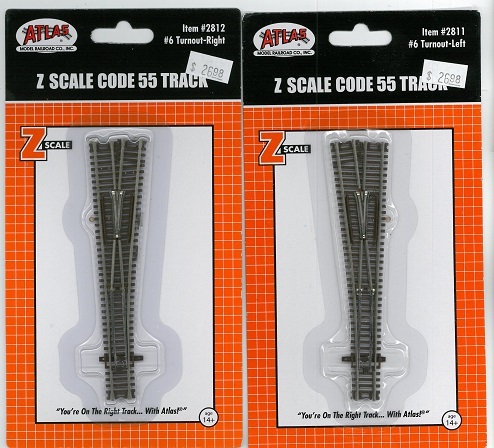 New from Atlas - Z-Scale Code 55 #6 Turnouts and a 19 degree crossing. We have recived a restock of MicroEngineering prodfucts - Rail, Flex Track, Rail Joiners, Structures and the NEW Code 70 Ladder system. Magazines The March 2019 issue of Model Railroader has arrived. The March 2019 issue of Trains has arrived. The March 2019 issue of Classic Toy Trains has arrived. Magazines The Spring 2019 issue of Garden Railways has arrived. 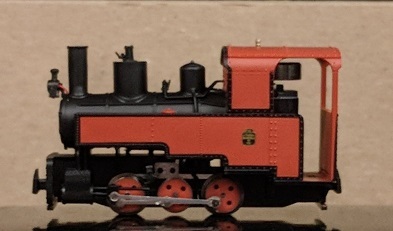 The January 2019 issue of Narrow Gauge Downunder has arrived. Magazines White River has been having shipping issues due to inclement weather, but some magazines are getting out. Magazines The February 2019 issue of Railroad Model Craftsman has arrived. The February 2019 issue of Railfan and Railroad has arrived. The February 2019 issue of Model Railroad News has arrived. Magazines The January/February 2019 issue of Narrow Gauge and Short Line Gazette has arrived. The 2018 4th Q issue of The Milwaukee Railraoder has arrived. The 1st Q 2019 issue of HO Collector has arrived. Magazines The February 2019 issue of WCRA News has arrived. Magazines The November/December 2018 issue of Canadian Rail has arrived. 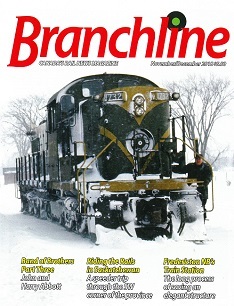 The January/February 2019 issue of Branchline has arrived. The Kaslo Shops BC Rail Wide Vision Cabooses. Magazines The 2019 issue of Model Railroad Planning has arrived. Magazines The February 2019 Classic Toy Trains magazine has arrived. The January/February 2019 Live Steam & Outdoor Railroading magazine has arrived. The January/February 2019 Steam in the Garden magazine has arrived. Magazines The February 2019 Model Railroader magazine has arrived. The February 2019 Trains magazine has arrived. Magazines The January/February 2019 N-Scale magazine has arrived. 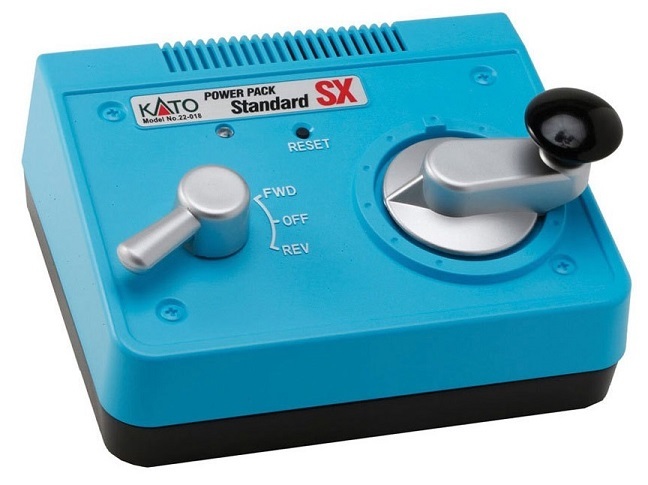 The new Kato Power Pack has arrived. Magazines The December 2018 issue of Great Northern Goat has arrived. The 2018 special issue Christmas and Electric Trains has arrived. We have received a restock of SoundTraxx products including their new 4 Amp decoders. Brass From a collection we have had here for a while, some NWSL Brass Logging cars. Books Our first shipment of this excellent sold out quickly. We now have a good restock. Iron Road West by Derek Hayes. An illustrated History of British Columbias Railways. 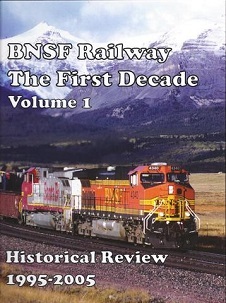 Covers the railways in BC from the earliest days to today. A well illustrated book. 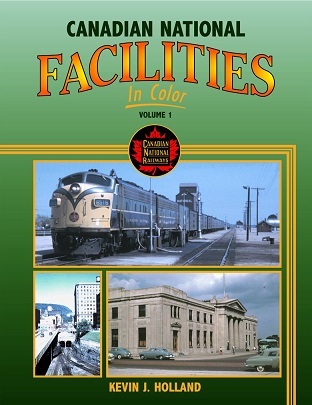 Includes a list of all the Railways incorporated in BC, but not necessarily built. Magazines Vol 19 No 2, Issue # 71 of CN Lines has arrived. Magazines The January 2019 issue of WCRA News has arrived. HO From Athearn a CP Rail 250 Ton wreck crane with boom car. Magazines The November/December 2018 issue of Branchline has arrived. Magazines The January/February 2019 issue of N Scale Railroading has arrived. HO A train set for the very young. Ages 3 and up. HO Scale. Battery operated. Solidly built. Basic detail and paint. Something for the grandkids to play with rather than your good trains. Both $ 49.99 Cdn$ each. Misc Time for some house keeping. We have open gift certificates going back more than a few years. As of January 1, 2019 we are closing anything from 2010 and earlier. Anything that old has been lost, washed or otherwise misplaced. Should you actually find one from that era, we will still honour it. Books The first shipment sold out quickly. We have a restock of the Morning Sun: Canadian Pacific caboose Color Guide 1877-2017. $ 80.99 Cdn$. A comprehensive guide to CPRs cabooses from CPR #1 in 1870, to the last of the steel cabooses. Magazines The Autumn 2019 issue of The Sandhouse has arrived. 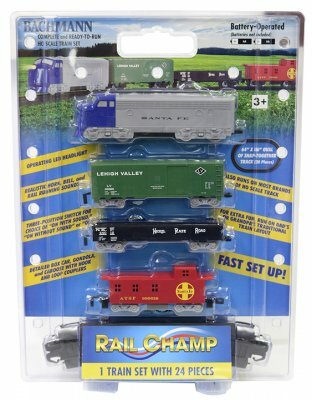 N The Rapido N-Scale Turbo Trains have arrived. Late Amtrak 5-Car Train. DCC and Sound. 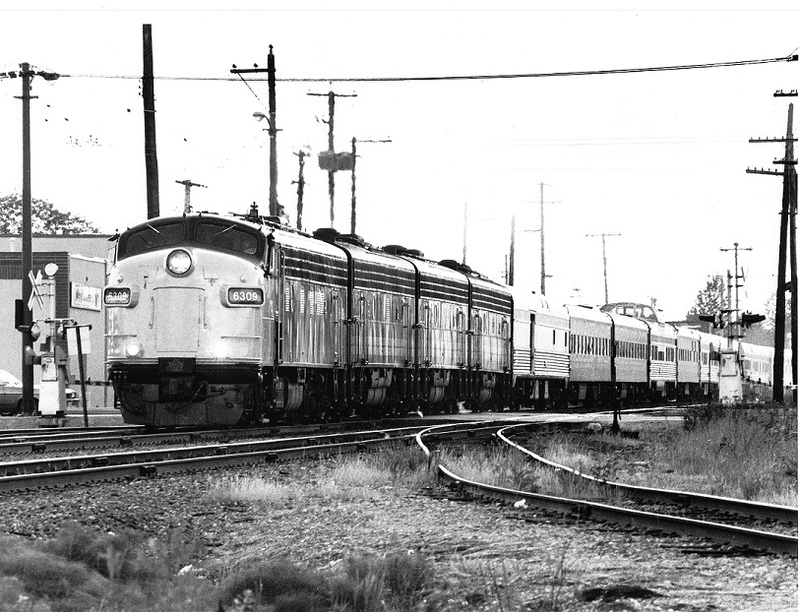 Canadian National 5-Car Train. DCC and Sound. Both $ 699.99 Cdn$ each. Magazines The January 2019 issue of Model Railroader has arrived. The 85th year of publication. It includes a reprint of the first 12 page issue of MR from january 1944. The cover of the January 1934 issue of Model Railroader . The January 2019 issue of Trains has arrived. Magazines The December 2018 issue of Railroad Model Craftsman has arrived. The December 2018 issue of Railfan & Railroad has arrived. The January 2019 issue of Classic Toy Trains has arrived. Magazines The 2018 HOn3 Annual has arrived. The November/December 2018 issue of Narrow Gauge and Shortline Gazette has arrived. 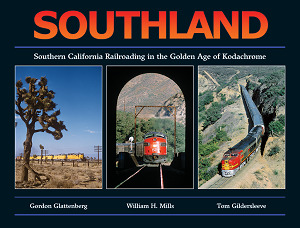 Books New from White River Publishing: Southland . Southern California in the Golden Age of Kodachrome. 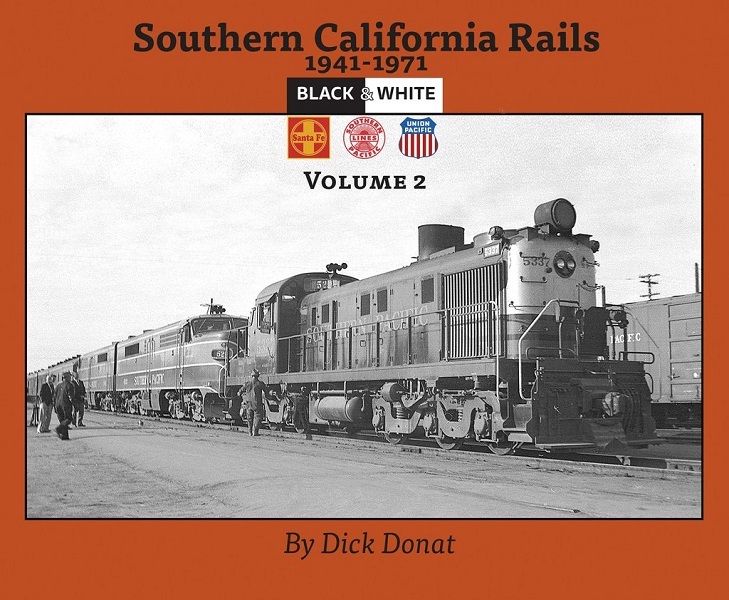 Over 250 action-packed pages depict the full sweep of activity, from Santa Fe Alco PAs and Union Pacific gas-turbine electrics battling Cajon Pass, to Southern Pacific 4449 in the days when the famed steam locomotive was just another Daylight 4-8-4. Red and yellow trolley cars thread the bustling streets of Los Angeles, contrasting with trios of GP9s roaming the wilds of Carrizo Gorge. From busy double-track mountain main lines to thrice-weekly locals in the Mojave Desert, there's something for every reader in the pages of Southland. 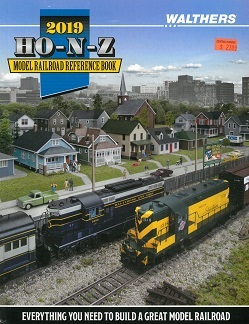 Z-N-HO Catalog The Walthers 2019 HO - N - Z Catalog has arrived. 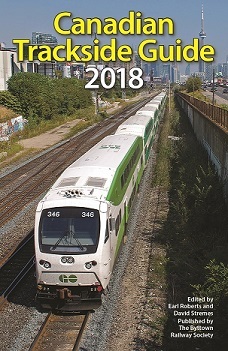 Magazines The September/October 2018 issue of Canadian Rail has arrived. Magazines The December 2018 issue of WCRA News has arrived. Magazines The Winter 2018 issue of Classic trains has arrived. 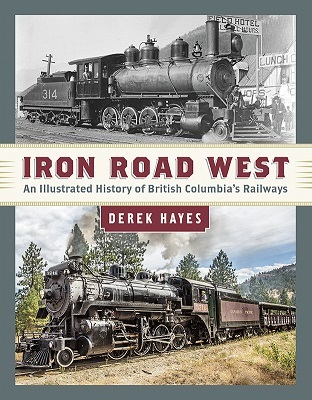 Books New from Harbour Publishing: Iron Road West by Derek Hayes. An illustrated History of British Columbias Railways. 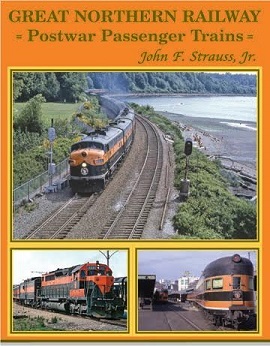 Covers the railways from the earliest days to today. A well illustrated book. 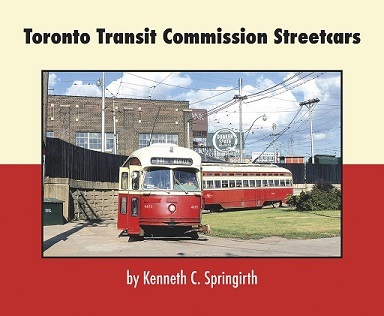 Includes a list of all the Railways incorporated in BC, but not necessarily built. 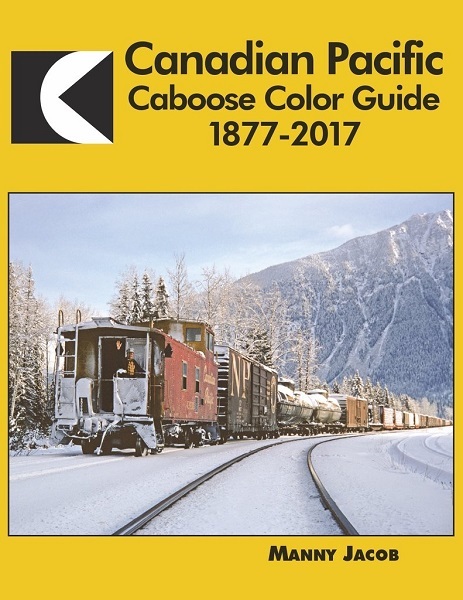 Books New from Morning Sun: Canadian Pacific caboose Color Guide 1877-2017. $ 80.99 Cdn$. 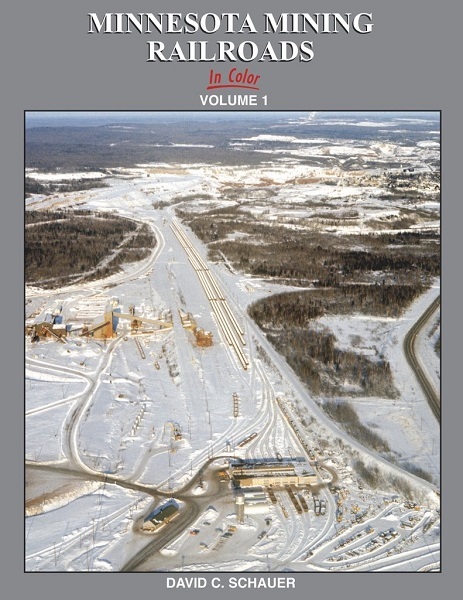 A comprehensive guide to CPRs cabooses from CPR #1 in 1870, to the last of the steel cabooses. Open Top Loads Vol 4. 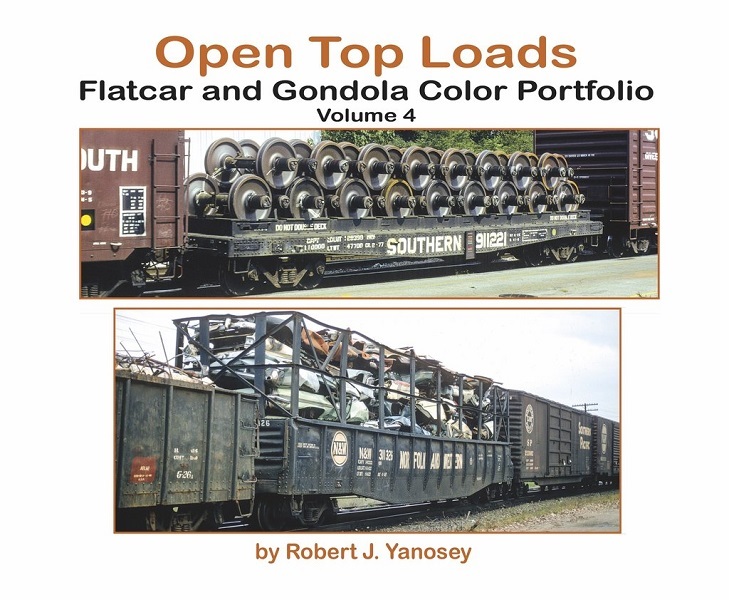 Flatcar and Gondola Color Portfolio. by Robert J. Yanosey. Soft Cover. 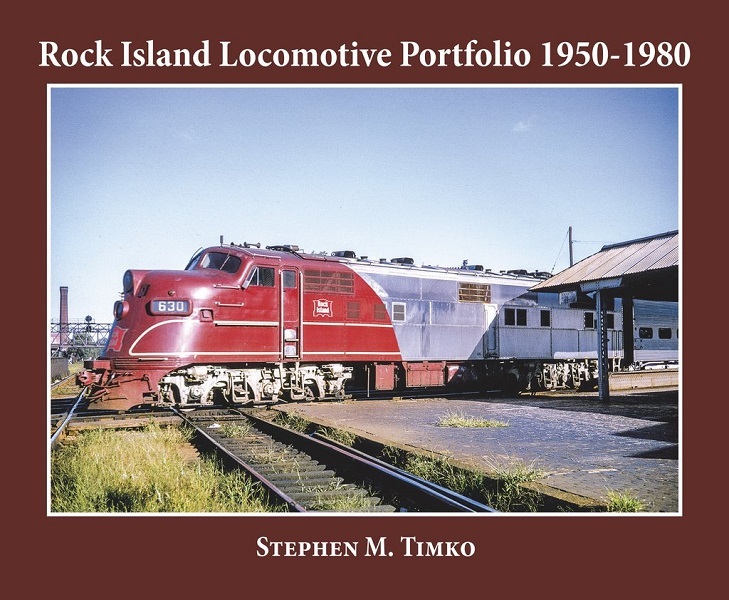 Rock Island Locomotive Portfolio 1950-1980. by Stephen M. Timko. Soft Cover. 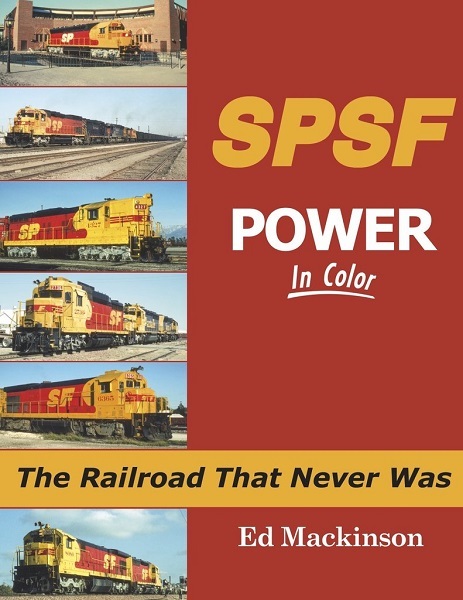 SPSF Power in Color - the Railroad that Never Was. by Ed Mackinson. Hard cover. 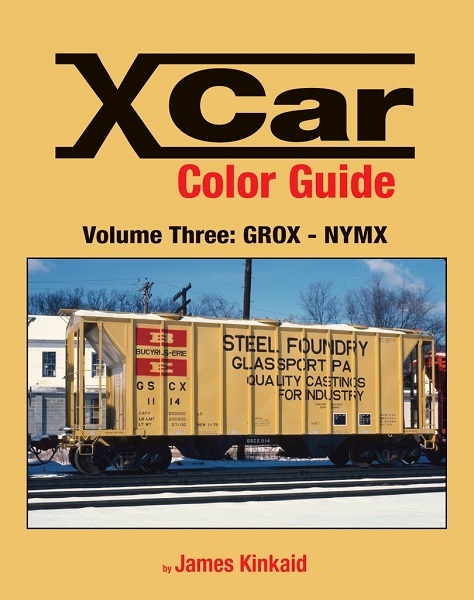 XCAR Color Guide Volume Three: GROX - NYMX by James Kinkaid. Hard cover. 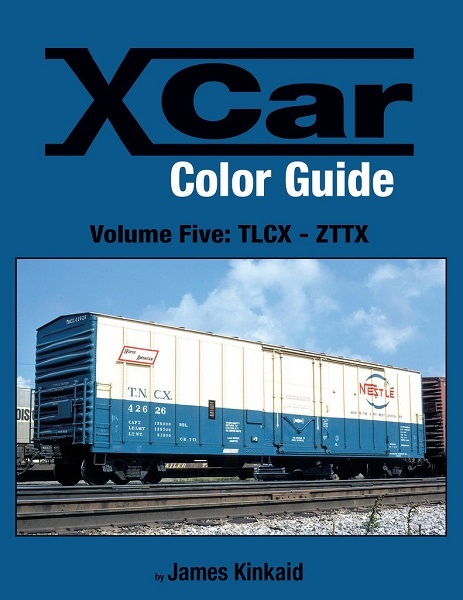 XCAR Color Guide Volume Five: TLCX - ZTTX by James Kinkaid. Hard cover. 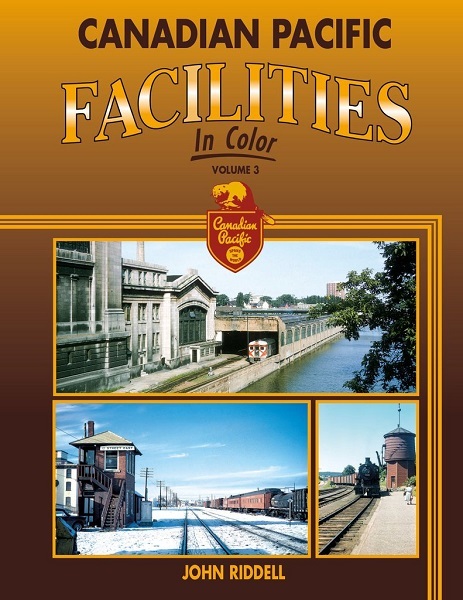 Canadian Pacific Color Guide to Freight and Passenger Equipment Vol 2 by John Riddell. - Hard cover restock. CSX Power in Color. 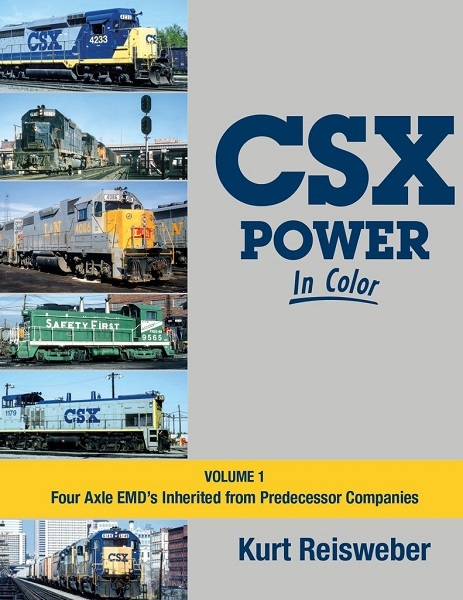 Volume 1 - Four Axle EMD's Inherited from Predecessor Companies by Kurt Reisweber. Hard cover. 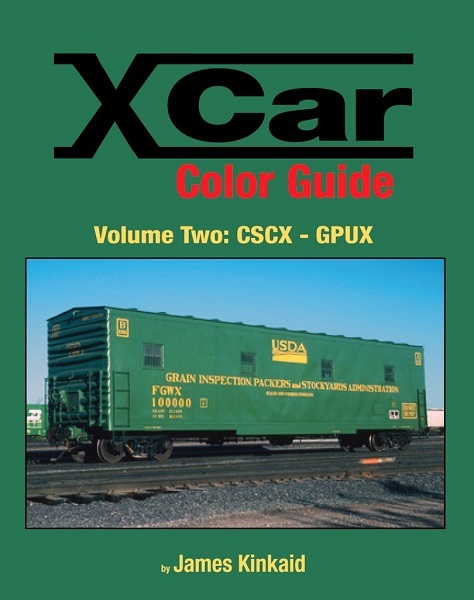 XCAR Color Guide Volume 2: CSCX - GPUX by James Kinkaid. Hard cover- restock. 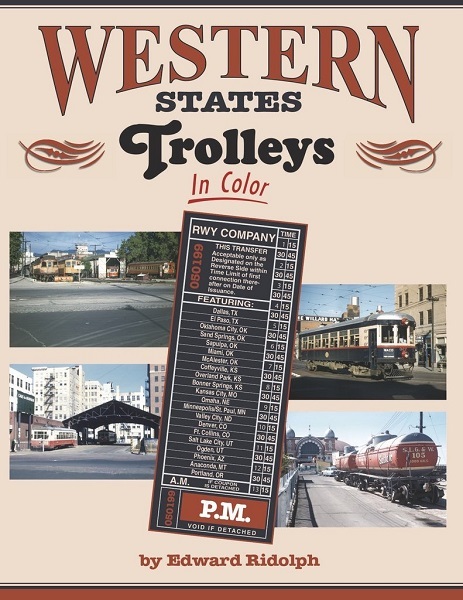 Western States Trolleys in Color by Edward Ridolph. Hard cover. 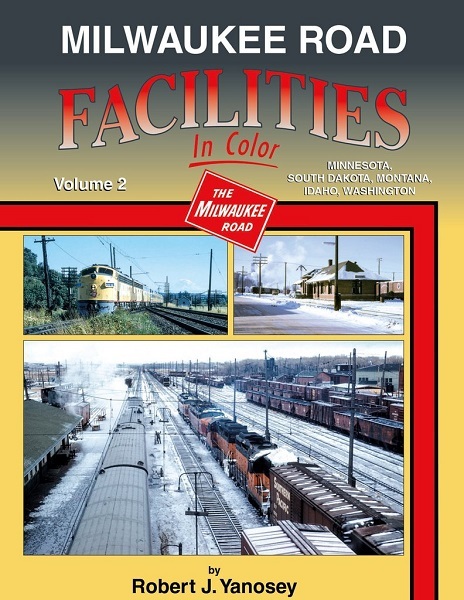 Minnesota Mining Railroads in Color Volume 1 by David C. Schauer. Hard cover. Magazines The December 2018 issue of Model Railroad News has arrived. The 4th Q 2018 issue of Passenger train Journal has arrived. t is the 50th Annivesary issue of Passenger Train Journal. HOn30 We have two new MinitrainS models. 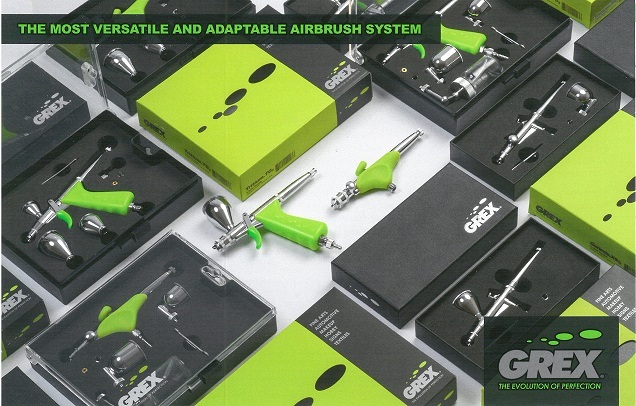 Airbrushes We had a representative of GREX demonstrating their airbrush line at VTE 2018. Tritrium Airbrush has a nice easy to use trigger. The top feed paint cup has a magnetic lid. The compressor is very quiet. We will shortly have these models in the store. Magazines The December 2018 issue of Model Railroader magazine has arrived. The December 2018 issue of Trains magazine has arrived. The December 2018 issue of Classic Toy Trains has arrived. Magazines The November/December 2018 issue of Live Steam & Outdoor Railroading magaizne has arrived. The November/December 2018 issue of Steam in the Garden has arrived. The December 2018 issue of Garden Railways has arrived. 35 years of Garden Railroading. Magazines The November 2018 issue of Railroad Model Craftsman has arrived. The November 2018 issue of Railfan & Railroad has arrived. The October 2018 issue of Narrow Gauge Downunder has arrived. Magazines The October 2018 issue of Dispatchcer's Office has arrived. The 4th Q 2018 issue of HO Collector has arrived. The November 2018 issue of Model Railroad News has arrived. Magazines The 2018 Special issue of Model Railroad Scenery Step by Step has arrived. The Classic trains Special issue of Mountain railroads has arrived. Magazines The 2018 Holiday Special issue of Great Was Scale Modeling has arrived. The December 2018 issue of Scale Auto has arrived. Magazines The November 2018 issue of WCRA News has arrived. Magazines The November/December 2018 issue of N Scale magazine has arrived. Magazines The 2019 issue of Great Model Railroads has arrived. The July/August 2018 issue of ztrack magazine has arrived. The November/December 2018 issue of N Scale Railroading has arrived. The lead article is on the World's Largest Freight Car, a Westinghouse (built by Krupp) Schnabell Car. Magazines Issue No 176 - September 2018 of the Great Northern Goat , the GN Historical Society Magazine has arrived. Magazines The November 2018 issue of Model Railroader has arrived. The November 2018 issue of Trains has arrived. The lead article is on VIA at 40. The November 2018 issue of Classic Toy Trains has arrived. Magazines The Fall/Winter 2018 issue of Sn3 Modeler a has arrived. The September/October 2018 issue of Branchline has arrived. The 2018 issue of Scale Auto Contest Cars has arrived. Magazines The October 2018 issue of Railroad Model Craftsman has arrived. The October 2018 issue of Railfan & Railroad has arrived. The 3rd Quarter 2018 issue of the The Milwaukee Railroader has arrived. Magazines The 2018 issue of Trains Special - Locomotive has arrived. The issue 14-1 of CP Tracks has arrived. The September/October 2018 issue of the Narrow Gauge and Short Line Gazette has arrived. Magazines The October issue of Model Railroad News has arrived. The 4th Quarter 2018 issue of Trains & Railroads of the Past has arrived. The October 2018 issue of WCRA News has arrived. 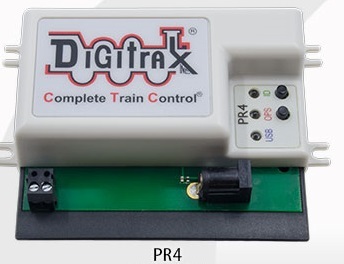 We have received a restock of Digitrax DCC products. Magazines The October 2018 issue of Model Railroader has arrived. The October 2018 issue of Trains has arrived. The September/October 2018 issue of Steam in the Garden has arrived. Magazines The September/October issue of Live Steam & Outdoor Railroading has arrived. The October 2018 issue of Classic Toy Trains has arrived. The October issue of Garden Railways has arrived. Magazines The September issue of Railroaf Model Craftsman has arrived. The September 2018 issue of Railfan & Railroad has arrived. The September Quarter 2018 issue of Model Railroad News has arrived. Magazines The Summer issue of The Sandhouse has arrived. A new TSU 2 Steam decoder. This replaces the current steam decoder. Now with 90 Whistles, 54 bells, 10 exhaust chuffs, 10 Air pumps and 8 Dynamos. Easy to program without a special box or program. A new EMD Decoder with Eight Additional EMD prime movers. This decoder has sound files that are not in the existing EMD sound decoder. Most formats in stock now. Magazines The 3rd Quarter 2018 issue of HO Collector has arrived. The Fall 2018 issue of Classic Trains has arrived. The 2nd Quarter 2018 issue of The Milwaukee Railroader has arrived. Magazines The July 2018 issue of The Dispatchers Office has arrived. The 3rd Quarter 2018 issue of Passenger Train Journal has arrived. The July/August 2018 issue of The Narrow Gauge and Short Line Gazette has arrived. Other Magazines The September 2018 issue of WCRA News has arrived. The October 2018 issue of Scale Auto has arrived. An avalance of White River Publications have arrived. Magazines The August 2018 issue of Model Railroad News has arrived. The August 2018 issue of Railroad Model Craftsman has arrived. The August 2018 issue of Railfan & Railroad has arrived. Magazines The September/October 2018 issue of N Scale has arrived. The cover is a great shot from Chris Dittmar's layout. AZL has just released Z-Scale 40' 1937 AAR Box Cars in Canadian pacific. Available in singles, a two-pack and a four-pack. With full lettering and opening doors, these are great models. We have the Canadian Pacific Railway cars in stock. Scenery Hot Wire Foam Factory Styrogoo is back in stock in all three sizes: 3.4 fl oz, 8 fl ox, and 17 fl oz. A good, fast glue for bonding all polystyrene foams to each other or other materials: foam, rubber, paper, glass, fabric, plastic, metal, and cardboard. Magazines The September 2018 issue of Model Railroader has arrived. The September 2018 issue of Trains magazine has arrived. The September 2018 issue of Classic Toy Trains magazine has arrived. Magazines The September/October 2018 issue of N Scale Railroading has arrived. The July 2018 issue of Narrow Gauge Downunder magazine has arrived. HO We received a shipment of Atlas Center Beam car custom painted for Duluth, Winnipeg & Pacific. Two road numbers. Shown here with a custom load. 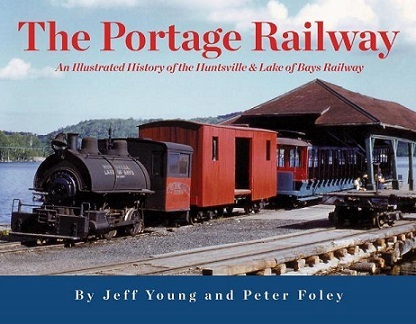 Book We received a new book: "The Portage Railway: An Illustrated History of the Huntsville & Lake of Bays railway." Hardcover, well illistrated with fold out pland of major equipment. There is enough information here model this small narow gauge railway with its two locomotives, dozen or so cars and seven turnouts. Might be a good candidate for MinitrainS HOn30 equipment. HO Our shipment of CPR SW1200RS has arrived. We received most of the models we orderded. We currently have four non-sound units left. HO Our shipment of HO Modernized F40PH w/ditch lights has arrived. HO We have received the Bachmann HO Scale SIEMENS ACS-64 Electric Locomotives. HO We have recieved a new shipment of HO Scale GE Tier 4 GEVOs. CNR, and a few other road names. HO We have received a shipment of Athearn Genesis SD70ACe locomotives. CNR and UP. a CNR Unit . HO New from Walthers under their 'Mainline" series, another run of Grain cars. HO New from Walthers under their 'Mainline" series, a run of 53' GSC Piggyback Service Flat Cars. Ontario Northland, TTX and British Columbia Railway. HO New from Walthers under their 'Mainline" series, a run of 72' Opera Window Centerbeam Flat Cars. British Columbia Railway. HO New from Walthers under their 'Proto' series, a run of Ready to Run Jordan Spreaders. Magazines The July/August 2018 issue of Branchline has arrived. The August 2018 issue of WCRA News has arrived. Magazines The May/June 2018 issue of Diesel Era has arrived. 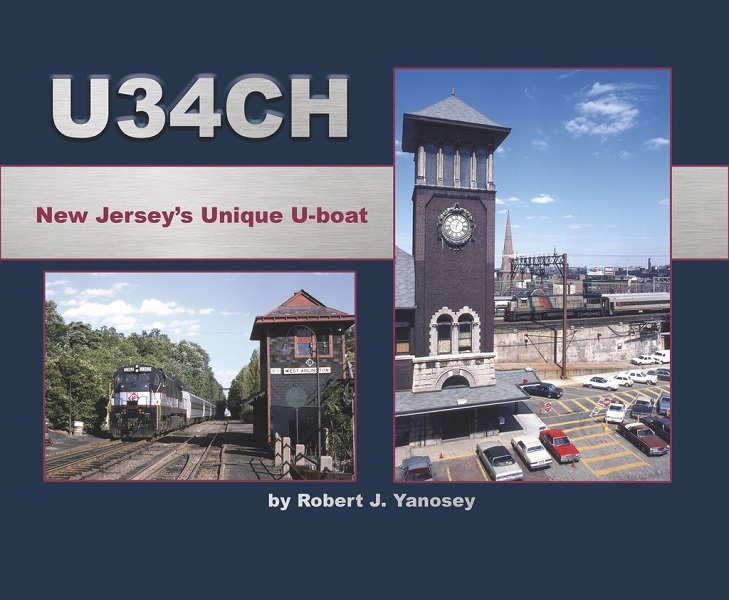 The Trains 2018 Special #3 Railroad Maps has arrived. New from Wathers under their 'Mainline" series, CPR F7s, A and B sets, or single As. Dc or DCC and sound. It is to be noted that CPR had FP7s but no plain F7s, but these models look good. These are budget priced models that look good and run well. 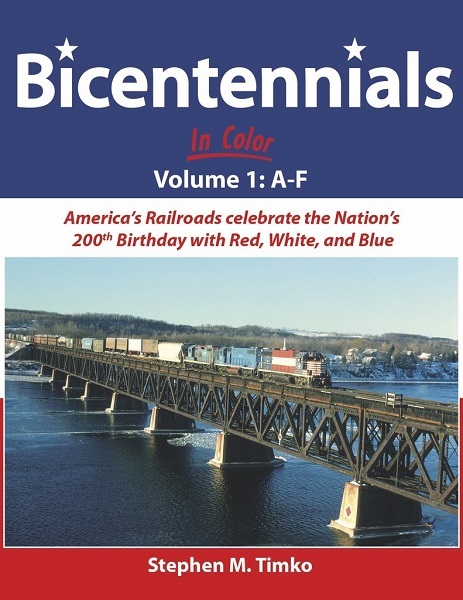 Books Bicentennials in Color. Vol1: A-F. - $ 80.99 Cdn$. Magazines The August 2018 issue of Model Railroader has arrived. The August 2018 issue of Trains has arrived. The August 2018 issue of Garden Railways has arrived. Magazines The July/August 2018 issue of Live Steam & Outdoor Railroading magazine has arrived. Digital We have received a restock of ESU products including LokProgramer sets, SwitchServos, Decoder testers and the G-Scale Decoder Tester Plug-In Extension. 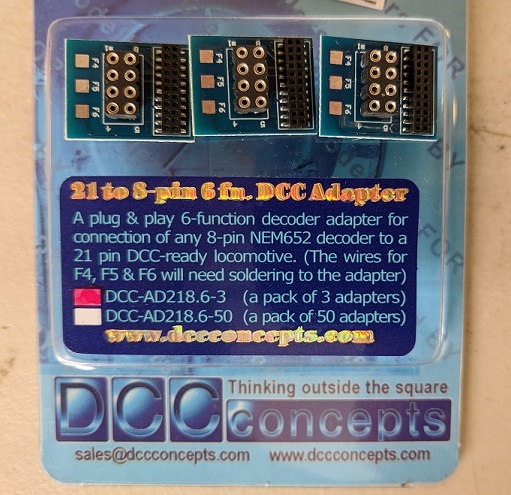 Digital We now have the DCC Concepts 21 to 8 pin, six function adaptor board, 3-packs in stock. 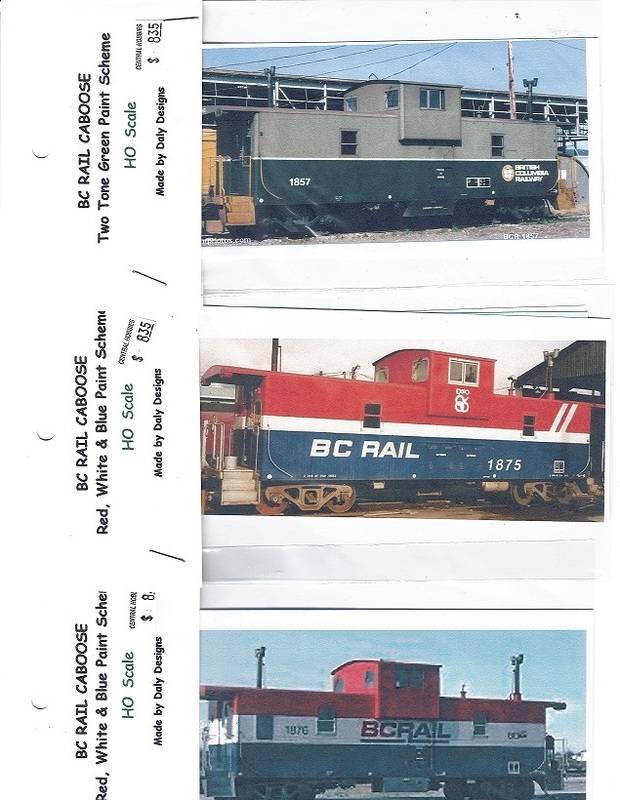 HO Daly Designs decals for the BC Rail Cabooses have arrived. Three variations: Two-Tone Green, Red/White/Blue early and Red, White & Blue late. Magazines The July 2018 issue of WCRA News has arrived. The July/August 2018 issue of N-Scale has arrived. The August 2018 issue of Scale Auto has arrived. Magazines The May/June 2018 issue of Canadian Rail has arrived. There is a long article about the Turcot Roundhouse in Montreal. At one time it was a complete doughnut or given that it was in Montreal perhaps a bagel would be a more appropriate simile. The June 2018 issue of the Great Northern Goat has arrived. News Walthers has sold their N-Scale motive power and rolling stock lines to Atlas. The products will be integrated into the various Atlas N-Scale product lines: Atlas Master, Atlas Classic, and Trainman. Grandt Line has a new owner. Grandt Line Products, The San Juan Car Co., San Juan Decals, American Limited Models and The Leadville Shops, are being merged into a new company called The San Juan Model Co.. At the request of the Grandt family, the "Grandt Line" name will be retired. It is expected that the merger will be completed by this fall and a new combined catalogue will be available. Shinohara shut down in May. This will leave a BIG hole in HO scale track supplies. 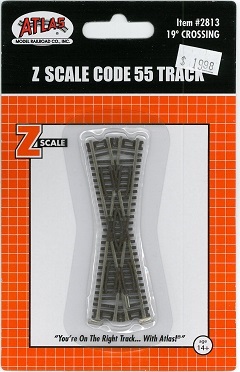 Walthers is negotiating to buy the code 83 track templates so it can continue production of their code 83 track line. Magazines The 3rd Quarter 2018 issue of Trains & Railroads of the Past has arrived. Magazines The July 2018 issue of Railroad Model Craftsmans has arrived. The July 2018 issue of Railfan and Railroad has arrived. Magazines The July 2018 issue of Model Railroad News has arrived. The 2018 Trains Special issue Train Wrecks Vol 2 has arrived. 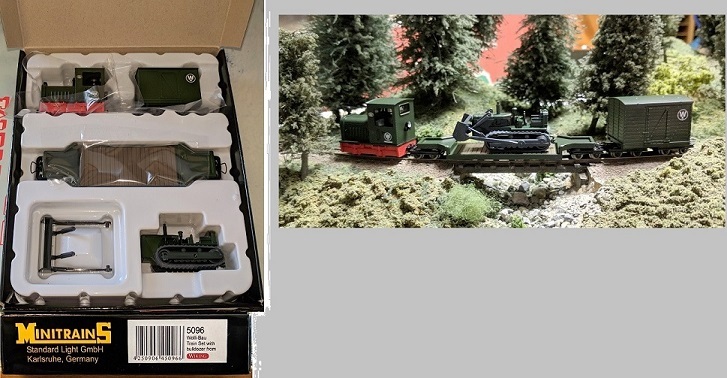 HOn30 We have received a restock of MinitrainS, including the 2018 Limited Edition Items. Magazines The May/June 2018 issue of Branchline magazine has arrived. A rerun from Roundhouse: CPR Shorty passenger cars. These cars were first made for H&D many years ago in the "H&Ds Own" line. Now that H&D is gone Roundhouse is continuing to product them with improvements to painting and detailing. These Shorty Cars based on Sierra Railroad cars are in no way a CPR protoype but they are cute and look good behind a small steam locomotive. They make a nice 'Pike' sized train. Magazines The March/April 2018 issue of Diesel Era has arrived. The July/August 2018 issue of N Scale Railroading has arrived. The July 2018 issue of Classic Toy Trains has arrived. Magazines The Summer 2018 issue of Classic Trains has arrived. There is a short article on the PGE and a good article on Short Lines. The July 2018 issue of Trains has arrived. The July 2018 issue of Model Railroader has arrived. 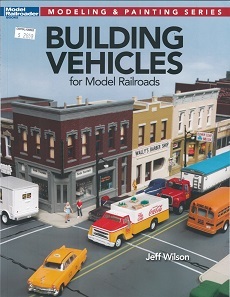 It includes a supplement on modelling realistic track and trackside scenes. Magazines The Spring 2018 issue of The Sandhouse has arrived. Magazines The June 2018 issue of Railroad Model Craftsman has arrived. The June 2018 issue of Railfan and Railroad has arrived. 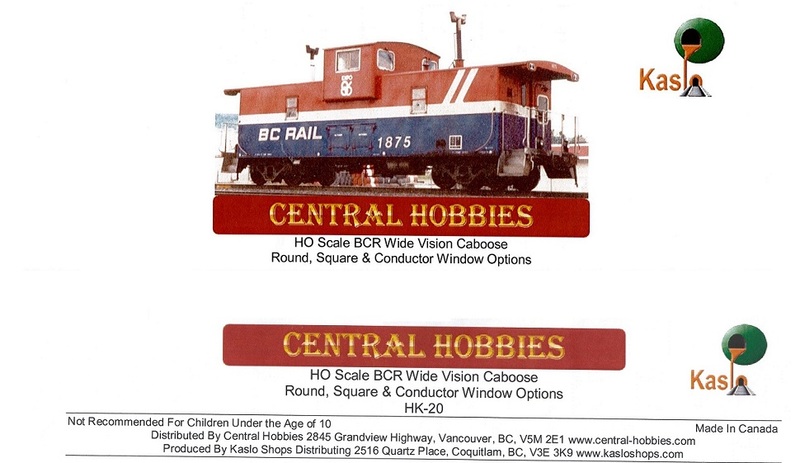 New from kaslo Shops, a Central Hobbies Exclusive: BC Rail Wide Vision Cabooses. 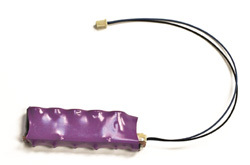 Due to unavailabilty of parts, Sountraxx has discontinued the Econami 100 and 200 series of decoders. They have not had a critical part since last year (20 weeks) and were told delivery would at least another 30 weeks. That would put production (if parts become available) sometime next year. As a result they have discontinued the two series of decoders. News as to a replacement product line, if any, has not been released yet. Magazines The June 2018 issue of Model Railroad News has arrived. The May/June 2018 issue of The Narrow Gauge and Short Line Gazette has arrived. AZL has just released Z-Scale 40' Single Sheathed box cars. Available in singles, two-packs and four-packs, there are eleven different road numbers. 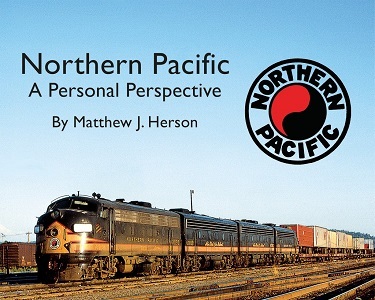 Also available to order in ATSF, CB&Q, Milwaukee Road, Nickel Plate, Pennsylvania, Reading, Frisco, and Southern pacific. All railroads have a single car, a two-pack and a four-pack, all different road numbers. 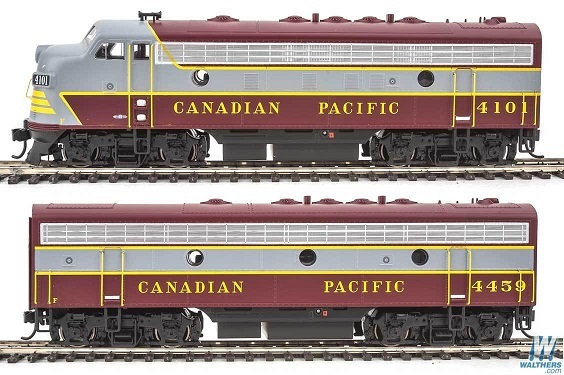 Canadian Pacific, CB&Q and Southern Pacific have a second four-pack. Magazines Vol 19, Issue No 1 (Issue 70) of CN Lines has arrived. Magazines The June 2018 issue of Scale Auto has arrived. Magazines The April 2018 issue of the Dispatchers Office has arrived. HO Our shipment of CNR SW1200RS has arrived. With the exception of a very late order, we had enough models for all our reservations. 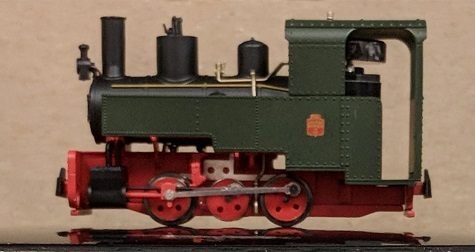 We have three non-sound models left, two Green Scheme and one CN North America. HO Our shipment of BC Transit Buses has arrived. We have a good stock of the regular and deluxe versions. Spoke too soon. All gone as of 5/11/2018. If there are any cancellations the models will be listed on the relevant Rapido trains Web page. Magazines The March 2018 issue of the Great Northern Goat , the GNR Historical Society magazine, has arrived. Magazines The Classic Trains Special Issue #2 2018 Steam's Empire has arrived. The June 2018 issue of Garden Railways has arrived. The June 2018 issue of Model Railroader has arrived. Magazines The May/June 2018 issue of Live Steam & outdoor Railroading has arrived. The March/April 2018 issue of O Scale Trains magazine has arrived. The June 2018 issue of Trains magazine has arrived. Magazines The April 2018 issue of Narrow Gauge Downunder has arrived. Magazines The March/April 2018 issue of Canadian Rail has arrived. Magazines The May 2018 issue of WCRA News has arrived. Magazines The May 2018 issue of Model Railroad News has arrived. The 2nd Quarter 2018 issue of HO Collector has arrived. The May 2018 issue of Railroad Model Craftsman magazine has arrived. Magazines The May 2018 issue of Railfan & Railroad has arrived. The 1st Quarter 2018 issue of The Milwaukee Railroader has arrived. The 2018 issue of The On30 Annual has arrived. Magazines The March/April 2018 issue of Canadian Railway Modeller has arrived. Magazines The March/April 2018 issue of Branchline has arrived. Magazines The May/June 2018 issue of N Scale Railroading has arrived. 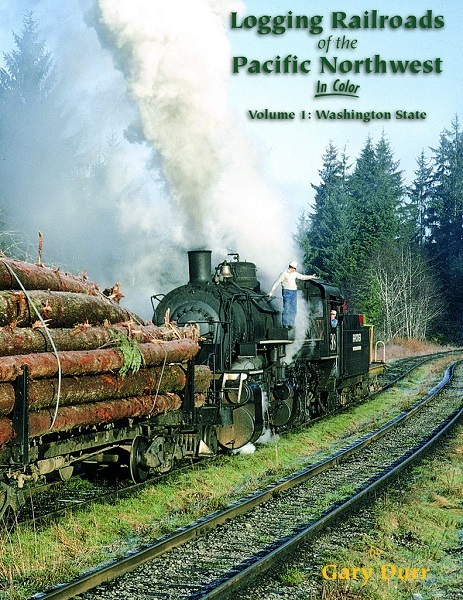 It has part four of the Rail Barge Project and a review of Al Frasch's 'Pilchuk Division of the BNSF', a Great layout that was in Washington. The May/June 2018 issue of N Scale magazine has arrived. N-Scale We have the new Kato/MicroTrains Trainset, combining a Kato ATSF SDP40F Locomotive and a selection of MicroTrains cars with exclusive car numbers. Magazines The May 2018 issue of Model Railroader has arrived. The May 2018 issue of Trains magazine has arrived. The January/February 2018 issue of Classic Toy Trains magazine has arrived. Magazines The LOST March 2018 issue of Railroad Model Craftsman has arrived. The Lost March 2018 issue of Railfan & Railroad has arrived. Both of these issues were lost in shipping and did not arrive last month. We have received enough copies for hold and a few extra. Magazines The May / June 2018 issue of Steam in the Garden has arrived. The Model Railroader 2018 Special Model Railroading the Ultimate Guide has arrived. 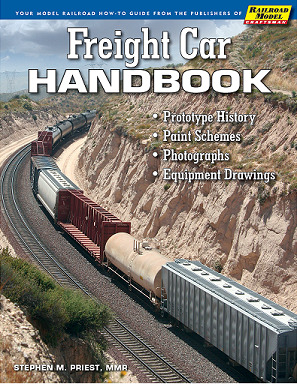 Books The Railroad Model Craftsman Freight Car Handbook has arrived. - $ 32.98 Cdn$. 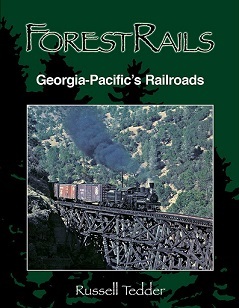 Books Forest Rails - Georgia-Pacific's Railroads by Russell Tedder. $ 105.50 Cdn$. 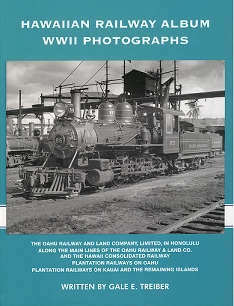 Books Hawaiian Railway Album WWII Photographs by Gale E. Treiber - $ 105.50 Cdn$. 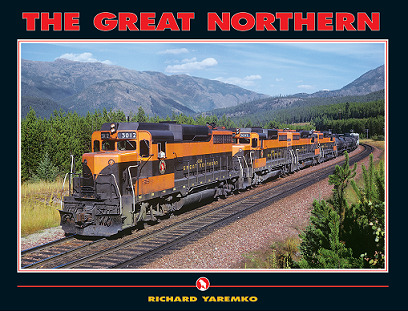 Books The Great Northern by Richard Yaremko. $ 105.50 Cnd$. Magazines The April 2018 issue of WCRA News has arrived. The November/December 2017 Diesel Era magazine has arrived. The January/February 2018 issue of Diesel Era magazine has arrived. Two issues at once and short shipped at that. Enough were received for magazine holds. Magazines The April 2018 issue of Railroad Model Craftsman magazine has arrived. The March issue never arrived. A few copies are on the way to us. The March/April 2018 issue of Narrow gauge and Short Line Gazette magazine has arrived. The April 2018 issue of Raifan and Railroad magazine has arrived. The March issue never arrived. A few copies are on the way to us. Magazines The 2018-1 Issue 274 of Passenger Train Journal has arrived. The January 2018 issue of The Dispatchers Office has arrived. The 2nd Quarter 2018 issue of Trains & Railroads of the Past has arrived. Magazines The March 2018 issue of Model Railroad News magazine has arrived. The November/December 2017 issue of Ztrack magazine has arrived. The January/February 2018 issue of Ztrack magazine has arrived. Due to a screwup, two issues have arrived at the same time. HO Scale For years Atlas has released some of their N-Scale Plate Girder Bridges with company logos. Now available in HO Scale their 9" plate Girder Bridge in code 100 rail lettered for Canadian National - $ 22.09 Cdn$. It should not be too difficult to change the rail to code 83. Train Show The dates for the 2018 Vancouver Train Expo are Saturday November 10 and Sunday November 11, 2018 at the PNE Forum. Details on our Show Schedule page or at the Vancouver Train Expo Web Site . Books The 2018 Trackside Guide has arrived. - $ 26.95 Cdn$. Magazines The March/April 2018 Issue of N Scale magazine has arrived. Layout Control System We now have the Walthers Layout Control System components in stock. Magazines Issue 13-4 of CP Tracks magazine has arrived. It has part three of Operations in the Okanagan Valley. Magazines The April 2018 issue of Model Railroader magazine has arrived. Being the April issue there is an April Fools joke in it. It would be a life shortening action for any modeler foolish enough to do it. The April 2018 issue of Trains magazine has arrived. The March/April 2018 issue of Live Steam & Outdoor Railroading magazine has arrived. Magazines The April 2018 issue of Garden Railways magazine has arrived. The Spring 2018 issue of Classic Trains magazine has arrived. HO Our second box of HO Scale Miniatures by Eric parts have arrived. Still waiting for N, O, G-Scale and order add-ons. Magazines The January/February 2018 issue of Canadian Rail magazine has arrived. The lead article is "Montreal's First Railway". The Montreal and Lachine Railway was built to bypass the Lachine Rapids on the St. Lawrence river. 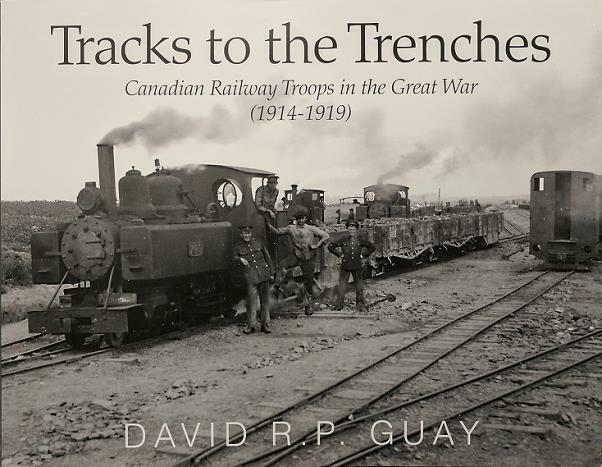 Orange After being out of print for a short while, we have received a restock of: Tracks to the Trenches Canadian Railway Troops in the Great War (1914-1919). Softcover - $ 45.00. Magazines The April 2018 issue of Scale Auto magazine has arrived. HO New from Scaletrains Greenbrier (Gunderson) 5188cf Covered Hoppers. Operator Series: One body type, Plastic roof walks and grab irons, one piece molded truck frame, Single Outlet and Roof hatch Versions, simplified printing. BNSF, KCS, Norfolk Southern, and CSX. and Rivet Counter Series: Multiple Body versions. metal roof walk, wire grab irons, train line hose, rotating bearing caps, multiple outlet variations, two different roof hatches. Arkansas- Oklahoma railroad, BNSF, BNSF Heritage (BN or ATSF or NP Logo), BNSF Swoosh, and UP "Building America". 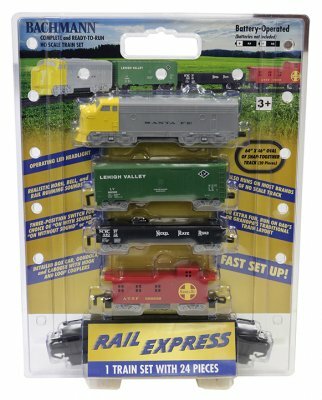 HOn30 We received a small restock of MinitrainS, including the new 2018 Limited Edition Items. 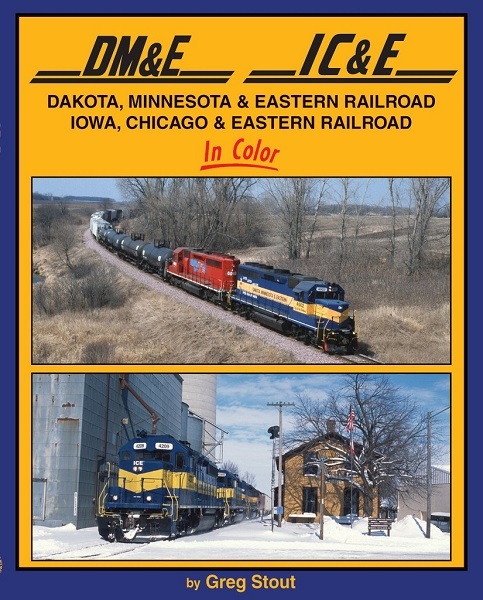 HO New from Noch: Model Railroaders with layout. - $ 28.65. 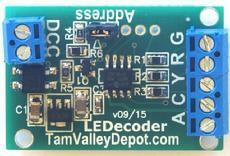 We have received a restock of Tam valley frog Juicers and the new LED Decoder DCC Accessory Decoder. OO-9 / HOn30 We have a restock of some of the Peco Welsh narrow gauge passenger cars in their "Great LittleTrains" series of products. The cars are very well done. The tipper wagons are all identical. The tipper wagons all have working loop couplers. The slate wagons have different numbers and color markings in each set. They have spoked plastic wheels. The Slate wagons have fixed loops and hooks on each car. 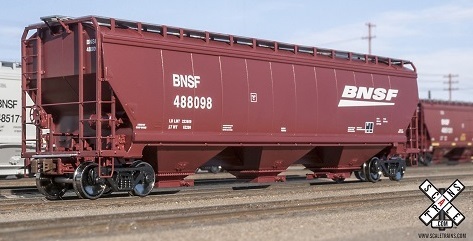 The package of three cars includes a pair of loop hook couplings that can be mounted on one or two of the wagons to give you a rake of three wagons with working couplers on the end. Magazines The March/April 2018 issue of N-Scale Railroading magazine has arrived. Magazines The 2018 issue of Hot Spots has arrived. The January/February 2018 issue of O Scale Trains magazine has arrived. The March/April 2018 issue of Steam in the Garden magazine has arrived. Magazines The March 2018 Trains has arrived. The March 2018 issue of Model Railroader magazine has arrived. The March 2018 issue of Classic Toy Trains magazine has arrived. HO Scale A small collection of Liliput HO Scale models has been added to our Products of Note web page. Detail Parts Miniatures by Eric has been ordered for N-Scale, HO-Scale, O-Scale and G-Scale. Magazines The January 2018 issue of WCRA News magazine has arrived. The February 2018 issue of WCRA News magazine has arrived. 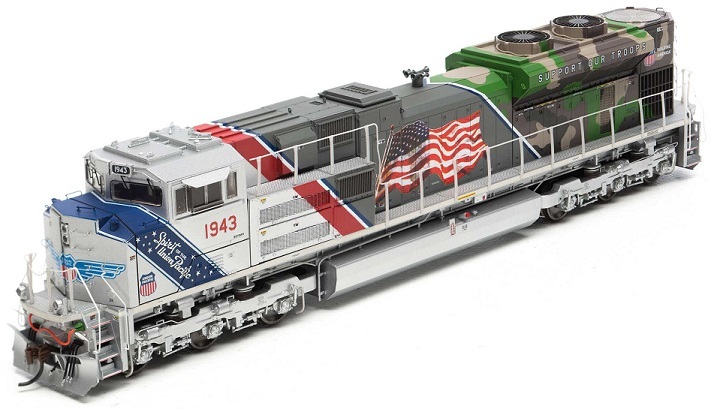 Walthers has released GE ES44 Evolution Locomotive models. Magazines The February 2018 issue of Railroad Model Craftsman magazine has arrived. The February 2018 issue of Railfan & Railroad magazine has arrived. We have received a restock of Sountraxx DCC products including Current Keepers. Magazines The January / February 2018 issue of Narrow Gauge and Short Line Gazette magazine has arrived. Fourth Quarter 2017 issue of The Milwaukee Railroader magazine has arrived. The February 2018 issue of Model Railroad News has arrived. Magazines The 1st Quarter 2018 issue of HO Collector magazine has arrived. HO Our Rapido Trains Locomotive Web page is now updated with the Dash-8s we currently have in stock. HO We have received the second shipment of Rapido Dash 8s. CNR Stripes and BCR Red/White/Blue. All holds have been covered and some for store stock. HO We received a shipment of Rapido Ditch Lights and passenger car lighting units..
Magazines The November / December 2017 issue of Canadian Rail magazine has arrived. 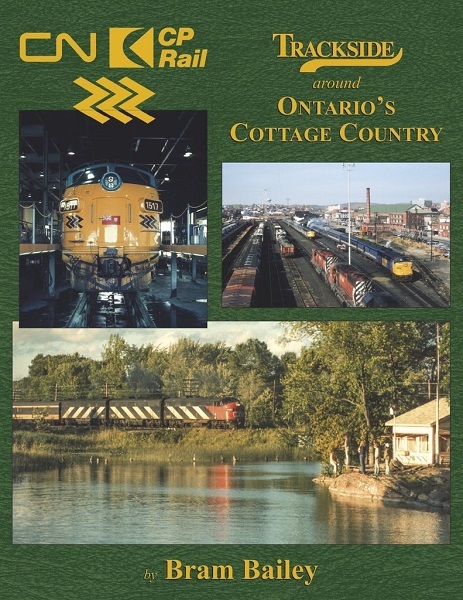 The feature article is "An Overview of Railway History in Canada: Events that shaped today's railway network." 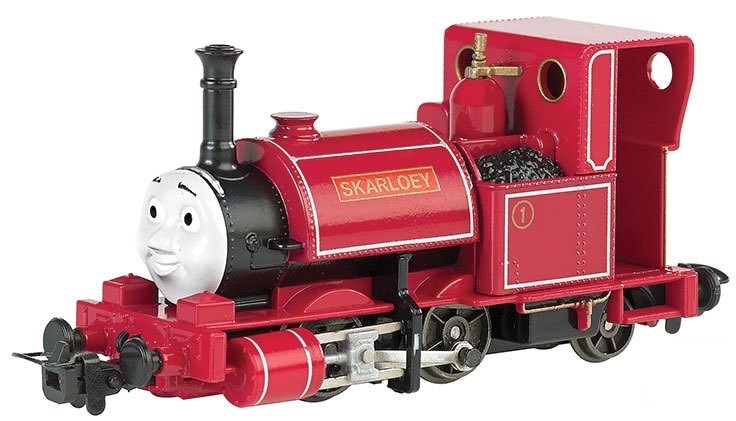 HOn30 Narrow Gauge Skarloey (HOn30) is back in stock. 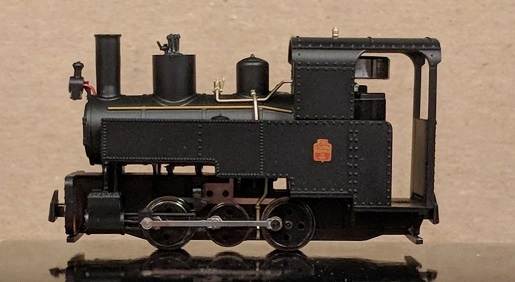 HOn30 We received a small restock of MinitrainS, including the new Decauville Progres Steam Locomotives. 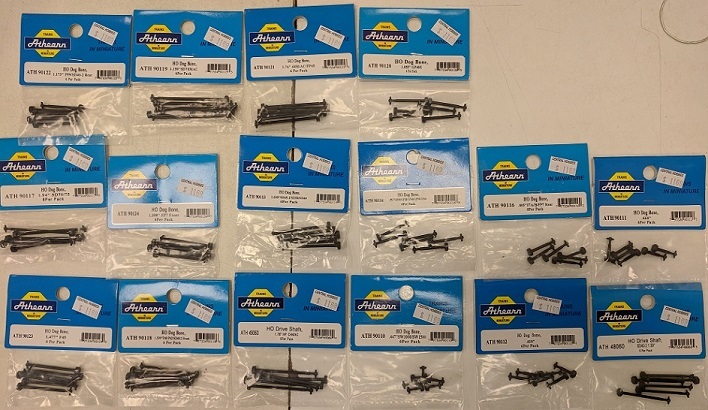 We have stock a lot of Athearn parts. Here is a selection of Dogbones we carry. Misc An interesting picture of The Canadian September 20, 1986.Units on the front 6309 / 6603 / 6613 / 6602, followed by a mix of ex CPR and ex CNR cars. Some people will be able to identify the location. A Dave Love photo. Magazines The February 2018 issue of Model Railroading magazine has arrived. The Jan/Feb 2018 issue of S Gaugian magazine has arrived. The Jan/Feb 2018 issue of Live Steam & Outdoor Railroading has arrived. Magazines The February 2018 issue of Garden Railways magazine has arrived. The 2018 Model Railroad Planning has arrived. Magazines The February 2018 issue of Classic Toy Trains magazine has arrived. The January 2018 issue of Narrow Gauge Downunder magazine has arrived. The February 2018 issue of Trains magazine has arrived. HO We have received our first shipment of Rapido Dash 8s. All CNR units. Magazines The February/March 2018 issue of O Gauge Railroading has arrived. Magazines January 2018 issue of Model Railroad News has arrived. The 1st Quarter 2018 issue of Trains & Railroads of the Past has arrived. The Jan/Feb 2018 issue of the Great Northern Goat historical society magazine has arrived. Magazines The February 2018 issue of Scale Auto has arrived. 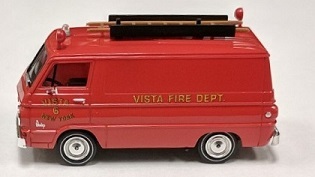 HO Scale Here is a teaser from an exclusive Central Hobbies 2018 project . Due (we hope) February / March 2018. Magazines More of the July/August 2017 issue of Diesel Era has arrived. The December 2017 issue of the Great Northern Goat historical society magazine has arrived. ESU We now have a stock of the 21MTC adapter board . This Adaptor Board has a 21 Pin MTC plug and solder pads for all 21 pins.